Are you looking to fill that space in your living room just above your sofa, but tired of the mass-produced prints you find in the mall? World Art Dubai is the city’s only affordable art fair and this year it showcases 150 galleries and artists from more than 30 countries. And the best part? Artwork starts from as little as Dhs100. A mix of booths representing local and international galleries as well as individual artists who are without gallery representation. This is a brilliant way of tapping into the creativity of the city and the region and getting access to some of the most contemporary pieces ranging from Dh500 and above. 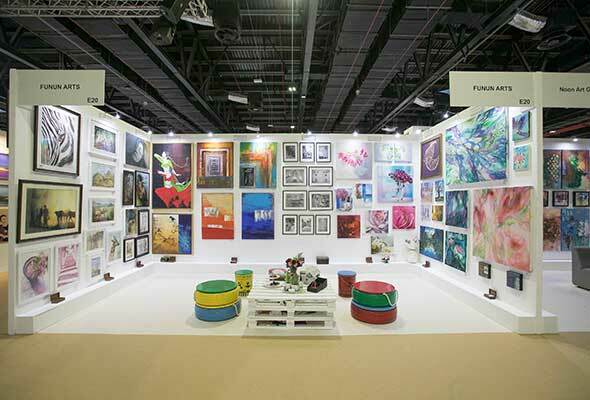 With pieces ranging from Dhs100 to 3,000, this display of work, created by 45 artists, allows a wide range of different types of art to suit all tastes and budgets. Held under the theme My Culture, My Neighbourhood, My Community, this is a new collaboration with Rove Hotels for up-and-coming artists aged 18 years or above. Winners will have their work exhibited in Rove Hotels across town as well as the pop-up Rove Café, a prominent new feature at this year’s World Art Dubai. An engaging programme of talks and interactive demonstrations led by industry experts and artists themselves, topics will focus on art trends and issues affecting artists around the world. The annual ceremony will crown winners for Best International Artist; Best International Gallery; Best GCC Artist; Best GCC Gallery and the Special Recognition Award, which will be awarded to the most unique artwork. 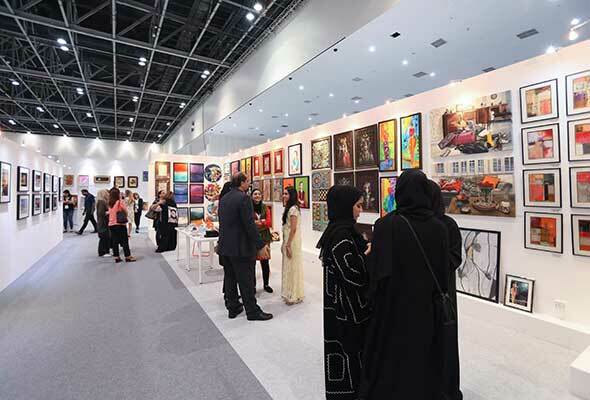 Artists will be selected based on their contributions to World Art Dubai 2019 and the art industry as a whole. 1. Lubna Khalid: Aided by her study of graphics and multimedia, Khalid is a skilled photographer who also combines an Eastern and Western aesthetic. 2. Muna Balfaqeeh: Focused on capturing Emirati heritage and culture, Balfaqeeh’s collection reflects a broad range of styles including realism, abstract, and an integration of abstract art and Arabic calligraphy: a classic style with a modern twist. 3. Sanaa Merchant: Merchant uses bold colours to mix traditional Arabic themes with a modern perspective. Her practice ranges from ornamental works to those more formally based in the Modernist style. 4. Mireille Salti, Lebanon: Aimed at creating pieces of art that transport the viewer into a mindful state, Salti uses a pouring technique to create her mesmerising pieces. 5. 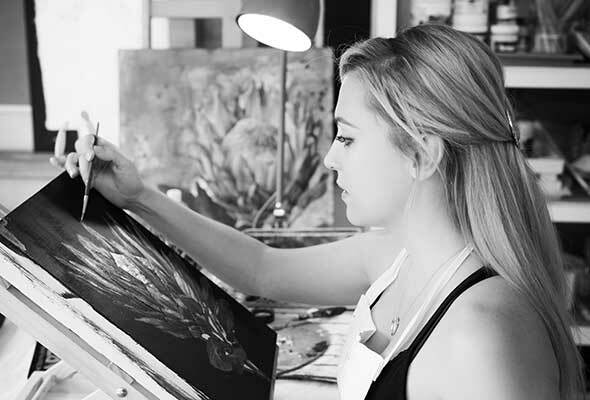 Lizelle Engelbrecht, South African: Combining traditional materials such as oil, paint and ink with more striking materials like gold leaf, aluminium and epoxy resin, Engelbrecht creates luminous abstract landscapes. 6. Petra Kaltenbach, Switzerland: Kaltenbach has exhibited at World Art Dubai every year since its inception. Describing herself as a fine artist, video artist, graphic designer and energetic healer, all parts of these influences can be found in her art. …a very interesting art exhibition to raise awareness for gender pay equality. A study led by the University of Oxford, Saïd Business School, showed that art by women sells for 47.6% less than work by men. 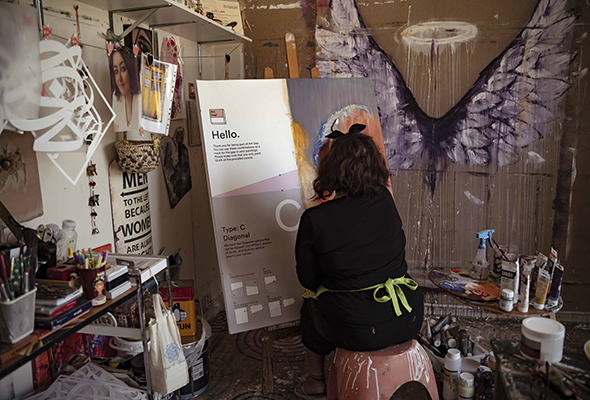 To highlight this through painting, a collective of Emirati and expat artists called the Art Gap hope to raise awareness on this matter using their canvas to make a powerful statement – since women artists are paid 47.6% less, they will paint 47.6% less. The paintings that will be deliberately left unfinished can be viewed at the Art Gap exhibition at World Art Dubai from 3 to 6 April.